For the aims of developing the scenario “Chemistry/Ceramics and colors across cultures” in the NEWTON Pilot “GAM LAB”, a representative from QUI! Group, Giuseppe Guarino and from ATOS Slovakia, Michal Mjartan visited the ceramics laboratory of “Santa Caterina-Amendola” Institute in Salerno, Italy on December 6th 2017. 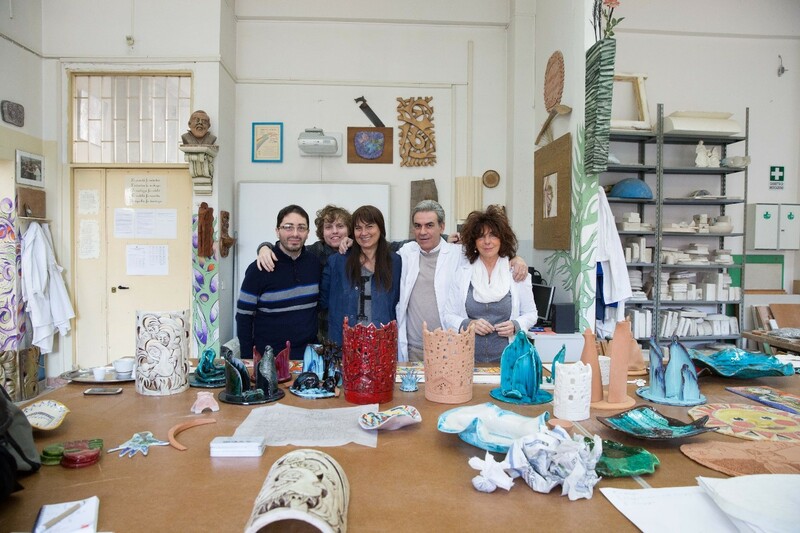 On this occasion, it was possible to make video recordings and photo shootings of the ceramics production cycle, realized in real time by the responsible teacher of the laboratory, Prof. Annella Papa and by the laboratory specialist, Mr. Domenico De Stefano. Each single process phase was shown carefully and professionally and the related details were highlighted with rigor and meticulousness. 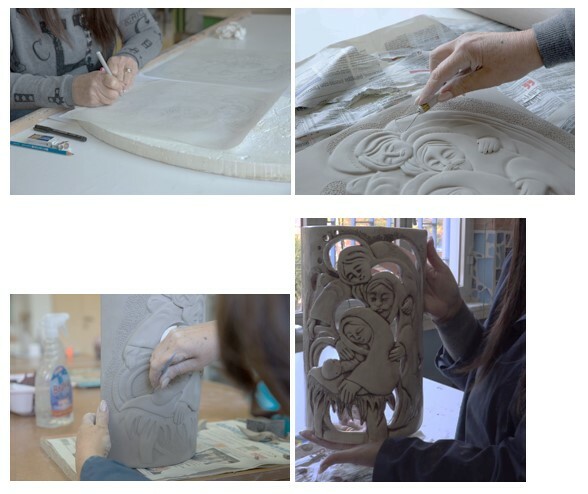 Main goal of this work is to virtualize the ceramics production process in a 3D environment in order to give students the possibility to simulate all phases in an interactive way by enhancing own learning about all features and aspects behind the realization of ceramic objects.